Your conference pass gives access to all conference sessions, enhanced networking, our 100-booth exhibition, lunch, and refreshments. Commissioner McAleenan will provide an update on CBP’s efforts in 2019 to enhance border security at the ports of entry and between the ports; expand public-private partnerships to advance facial biometrics and seamless travel; and serve as the catalyst of innovation to transform the business operations of the largest federal law enforcement agency committed to defending the nation’s borders. Administrator Pekoske will address the strategic drivers and vision for TSA’s Biometric Roadmap, and discuss how TSA plans to leverage innovative biometric concepts and solutions to enhance security effectiveness, improve operational efficiency, and yield a consistent, streamlined passenger experience in coordination with aviation security partners. Join Commissioner McAleenan and Administrator Peksoke for a fireside chat, to outline plans for further collaboration between CBP and TSA, including the expansion of secure and seamless travel through facial biometrics. Open to all delegates. With hundreds of key connections to make and potential colleagues to meet, this is yourchance to network the room like never before. Fast, efficient and fun! CBP Deputy Executive Assistant Commissioner of Field Operations John Wagner will outline CBP's efforts to expand biometric exit in partnership with the air travel industry, to enhance the customer experience. He will highlight how industry can support CBP's Entry/Exit mission, to address challenges and opportunities in accelerating innovation at U.S borders. Minister Alvarez is the leading negotiator and Mexico’s contact point for all bilateral customs and fiscal-related issues and was one of the leading negotiators for the U.S.-Mexico-Canada Agreement (USMCA).In this keynote address, Minister Alvarez will discuss how Mexico deals with customs and border security and assess the coordination and cooperation between customs authorities in developing innovative trade facilitation initiatives. He will also address important topics of bilateral interest, such as the importance of trade between Mexico and the US and how the re-casting of NAFTA into the USMCA is benefiting Mexico and North American trade in general. This year’s Congressional agenda includes issues of great significance to the identity technology industry. Although it is still unclear what type of legislation, if any, will emerge, the current policy debates on technology, data security, and privacy will certainly be instrumental in shaping political and public opinion for the future about biometric technologies and, prominently, facial recognition. 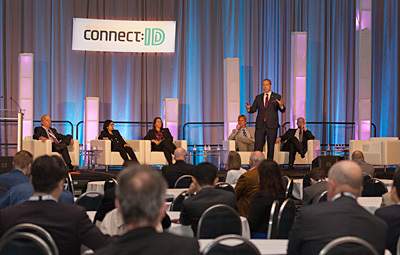 This session, comprised of four senior, knowledgeable, and effective staff representing both Democrats and Republicans and the Senate and House of Representatives, will provide an overview of what is happening and also their insights on developments on facial recognition, privacy, border security, aviation security, and the Department of Homeland Security. 1 Billion People are Without Legal Identity – What is the UN Doing? ID Credentials – the Root of Trust for KYC? Mobile Driver’s License and Mobile Identity – Two Names for the Same Thing, or Two Complementary Technologies? An exciting look into what is yet to come, our Futurology session will showcase the possible, probable and preferable identity solutions of the future and highlight up-and-coming technologies or concepts which may see progress and development in the years ahead. Marsel Wachter / Lookalikes: A Threat?